The City of Rochester issued a new Request for Proposals for the East End Garage, after City Council rejected the sale to a troubled ownership group. At last month’s City Council meeting, the sale was turned down 7 to 2, with council members concerned about the buyers and whether the garage should be sold. One member of the ownership group was Thomas Masachi, who leads DHD Ventures. The real estate firm has a trail of debts and pending foreclosures. The Wall Street Journal reported the FBI reviewed his properties as part of the Morgan Management mortgage fraud investigation. Proposals for the East End Garage are due October 26. The city will select a buyer in December. The city denied a Rochester for All open records request for the other bids on the garage, saying it would jeopardize negotiations to finalize the sale. 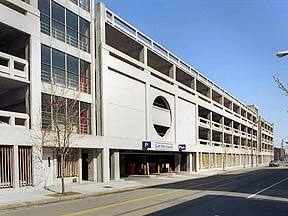 The city also issued an RFP for the Stone Street wing of the South Avenue Garage.